Safe by HUB6 turns your existing home security system into a smarter system for an affordable one-time price. 1. Safe by HUB6 uses the security system hardware you already have and frees you from long-term contracts or monthly fees. 2. It redirects any alerts triggered by your system to your phone, trusted neighbor, and/or a professional monitoring service when you need a back up. 3. Emergency services can then be requested as needed. 2. It redirects any alerts triggered by your system to your phone, trusted neighbor, and/or HUB6's Professional Monitoring when you need a back up. Connect Safe by HUB6 to your existing DSC or Honeywell hardware in 30 minutes or less. Find out if your security system is compatible. Stay connected to your home even if the power or internet goes out through a built-in no-fee SIM card that uses a cellular network. Arm your system with a simple voice command to your Amazon Echo or Echo Dot using our Safe by HUB6 Alexa skill. 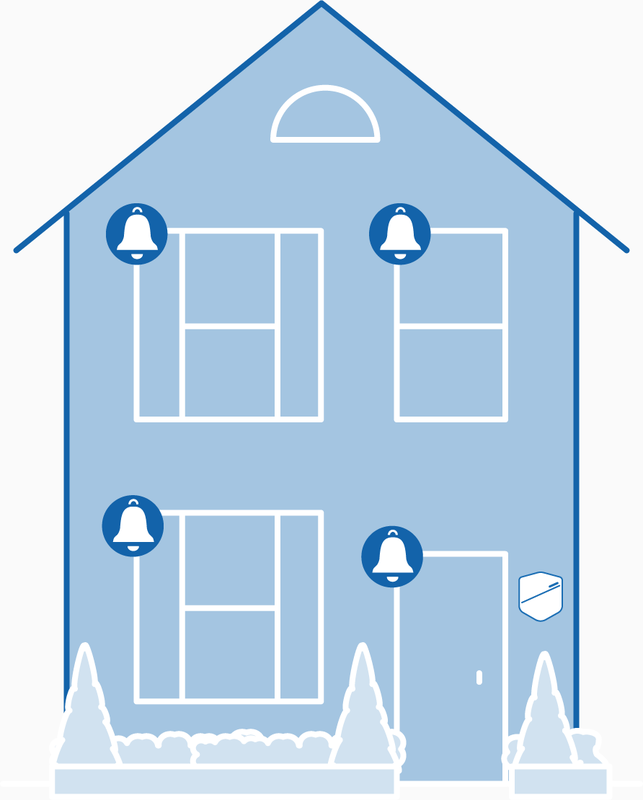 Cancel your current security service plan and self-monitor your home with our free HUB6 app. No installation fees, no monthly payments, no cancellation fees. Add on-demand professional monitoring for only $9.99 for up to 30 days. Our free app allows you to check the status of your home, control your alarm system, and get instant alerts when your system is armed or disarmed. 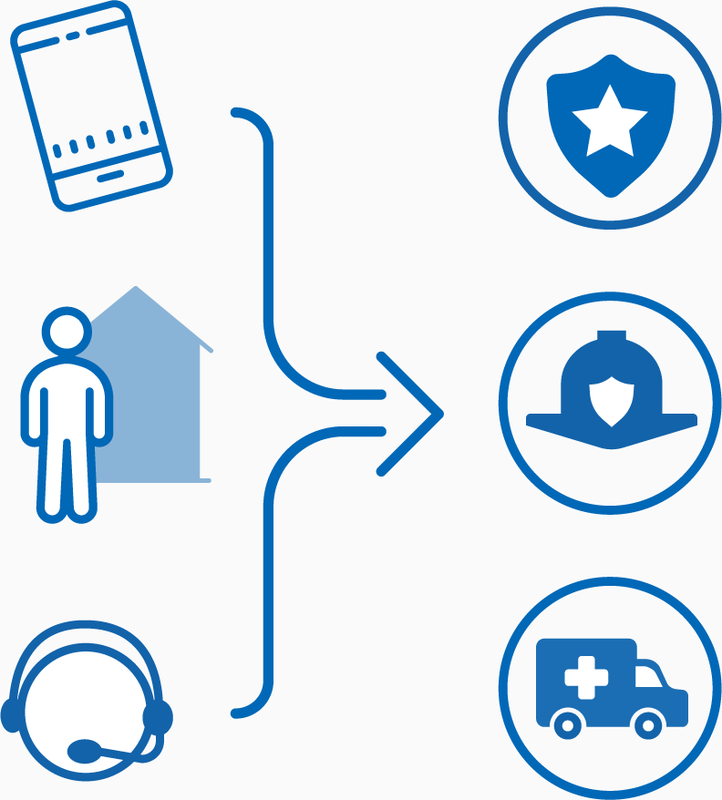 Redirect your alerts to a trusted neighbor if you won't be available to respond to an emergency. Control all of your smart home products with the HUB6 app. Safe by HUB6 is compatible with Amazon Alexa, Google Home, Nest, and IFTTT. 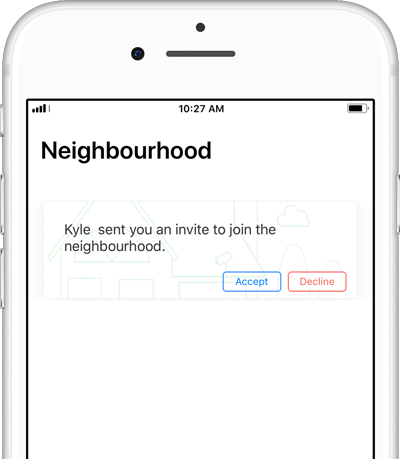 Invite your neighbors to receive alerts on their phone. They’ll be notified if an alarm is triggered. They can clear it or call 911 on your behalf. "A great device which is very easy to install and works seamlessly with my existing alarm system. HUB6 has been a great addition to my smart home device collection." Say goodbye to long-term contracts and monthly fees, and say hello to safer, smarter communities. Say goodbye to contracts and monthly fees, and say hello to safer, smarter communities.